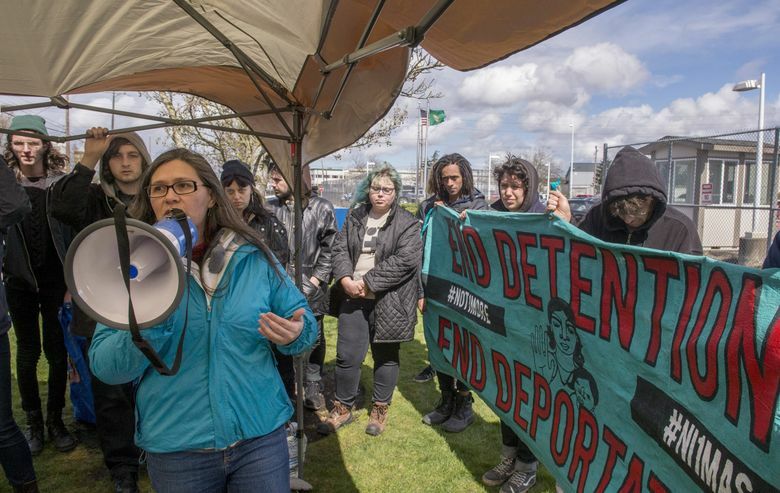 A group of immigration and Latino activists, NWDC Resist, rallied outside the Tacoma Northwest Detention Center for the second night while inside they said hundreds of detainees facing deportation have refused to eat. As many as 400 immigrant detainees at the Northwest Detention Center have refused meals for a second day, according to activists, while federal immigration officials prepare to invoke a hunger-strike protocol that could result in forced treatment of inmates who continue to refuse nourishment. A group of immigration and Latino activists rallied outside the Tacoma detention facility for the second night while inside they said hundreds of detainees facing deportation have refused to eat. Some of those with jobs inside the privately run facility have stopped working, said Maru Mora Villalpando with the group NWDC Resist, an anti-detention group led by undocumented immigrants inside the detention center. 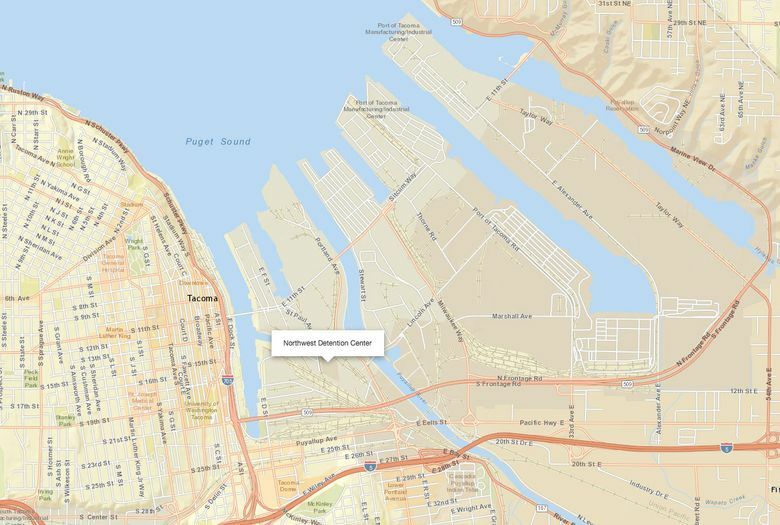 On Monday, the group presented the detention center with a written list of demands, mostly involving living conditions in the detention center, including the quality of food, access to medical care and lowering of commissary prices. What began with a handful of protesters has turned into a hunger strike involving hundreds of detainees, Villalpando said Tuesday. “So far, so good,” she said. She said the estimated number of participants has been determined through telephone and email contacts with detainees throughout the facility. The detention center, operated by Immigration and Customs Enforcement (ICE) through a private contractor, GEO Group, contains more than 1,500 detainees. Rose Richeson, a spokeswoman for ICE, has referred to the protest as a “meal refusal involving a number of detainees who have chosen not to eat meals provided by the cafeteria.” Some continue to eat food purchased from the commissary, she said. Those who have refused any food are being monitored. Once they have gone 72 hours without food — sometime Wednesday for those who began the strike Monday — the agency will initiate a hunger-strike protocol that will allow the detainees to be referred to the medical department for monitoring “and possible treatment.”“Individuals on a hunger strike will continue to be offered three meals daily and provided with an adequate supply of drinking water and other beverages. They will also be counseled about the related medical risks,” according to Richeson.